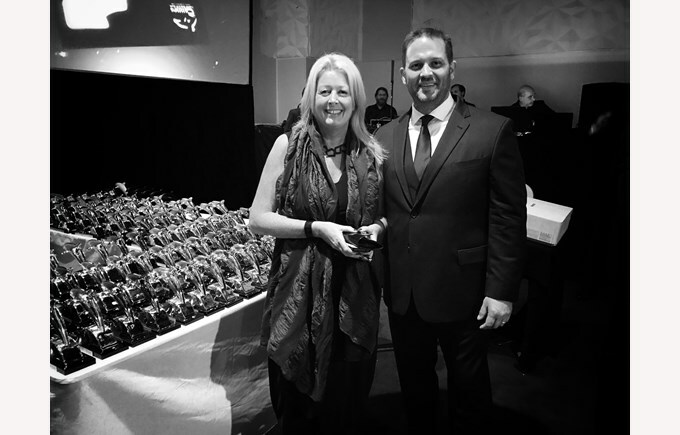 Principal Mel Curtis of British International School of Chicago, Lincoln Park with CEO Jeremy Richter of Richter Studios accepting the Silver Dolphin at the 2016 Cannes Corporate Media and TV Awards festival. Over 1,000 entries were submitted from more than 50 nations with only 177 winners. Richter Studios picked up the prestigious Silver Dolphin award for producing and directing a video showcasing British International School of Chicago, Lincoln Park's personalized learning, global education, and internationally recognized collaborations with The Juilliard School and MIT. 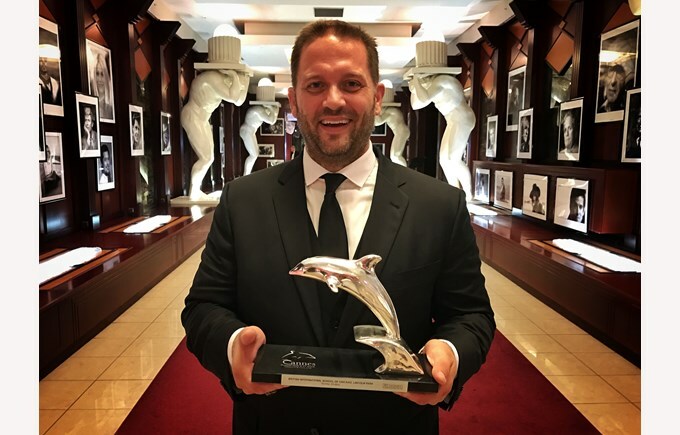 CEO Jeremy Richter of Chicago-Based Richter Studios bringing back the Silver Dolphin back to the States from the French Riviera. 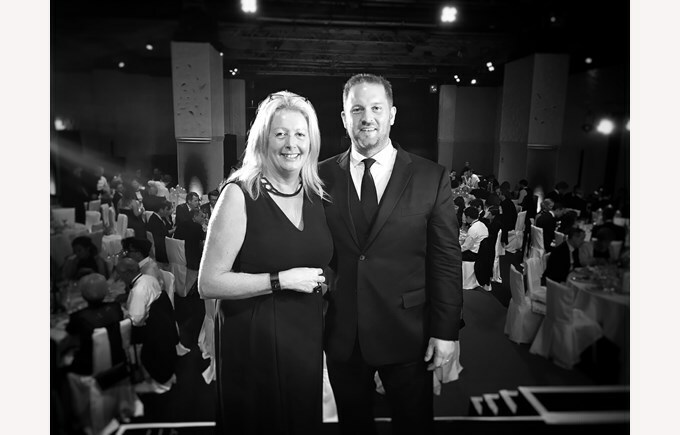 Principal Curtis with Jeremy Richter at the 2016 Cannes Corporate Media & TV Awards festival -- a night to remember! 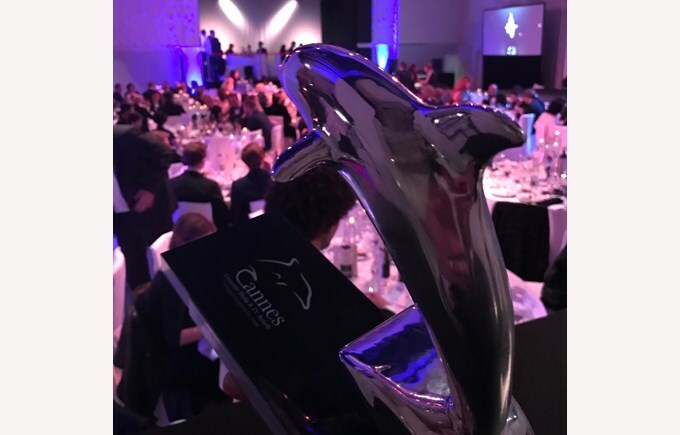 CANNES, France, Oct. 18, 2016 /PRNewswire/ -- The Cannes Corporate Media & TV Awards selected a video produced by Chicago-based production house Richter Studios as a recipient of the Silver Dolphin in the Corporate Video category. Winners were announced last Thursday evening in the French Riviera resort town, and Richter Studios CEO Jeremy Richter shared a few thoughts as he travels back to the U.S. with the award in hand. "To be standing tall alongside the likes of BMW, Deloitte, HSBC, Porsche and Samsung is quite an honor. 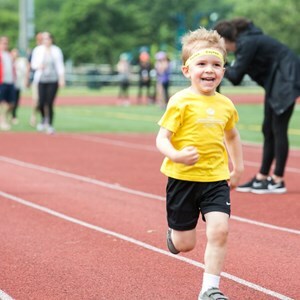 (Principal) Mel Curtis and the entire team at the British International School of Chicago, Lincoln Park, made this effort both creatively inspiring and a joy to work on." 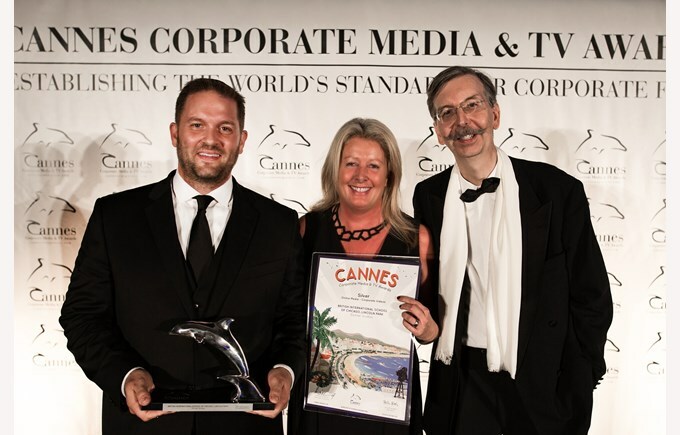 Each year, the Cannes Corporate Media & TV Awards recognizes the world's finest corporate films, online media and TV documentaries with more than 290 guests traveling from all over the world to be part of the exclusive awards ceremony. The Cannesjury comprised industry professionals from a variety of countries including Germany, Switzerland, the Netherlands, Croatia, and Austria. 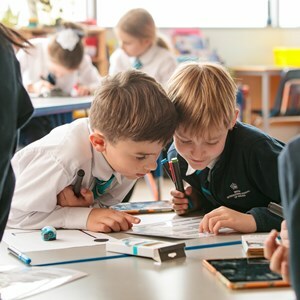 Of the 16 Gold and Silver Dolphin winners in the C27 Corporate Video category, BISC Lincoln Park – part of Nord Anglia Education, the world's leading premium schools organization - was the only entry to showcase a private learning institution. "It was such an honor to be recognized by the Cannes Corporate Media & TV Awards and to be part of such a well-respected, international festival," said Principal Curtis. 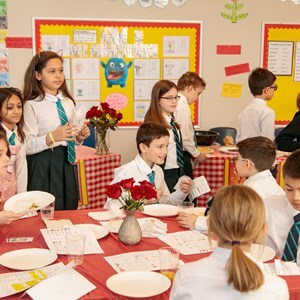 "As part of a global educational organization, our team from British International School ofChicago, Lincoln Park is particularly proud that the winning video produced by Richter Studios not only showcased our collaborations with The Juilliard School, MIT, and our STEAM curriculum, but also captured the community spirit of our families, staff members, and friends." While Richter is headed back to Chicago to bring back the internationally renowned accolade to the States, Curtis is currently traveling to Tanzania to present on the successes of BISC Lincoln Park's collaboration with the Juilliard-Nord Anglia Performing Arts Program. 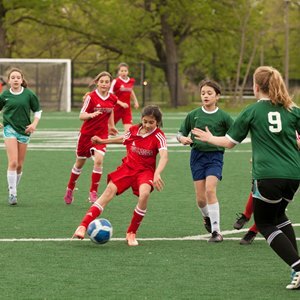 This fall, both Richter Studios and BISC Lincoln Park are planning to team up with each other again to produce a series of videos focused on their campus's STEAM curriculum developed in collaboration with MIT that will continue to highlight the value and benefits of students learning at one of the most sought after private schools in the Midwest.